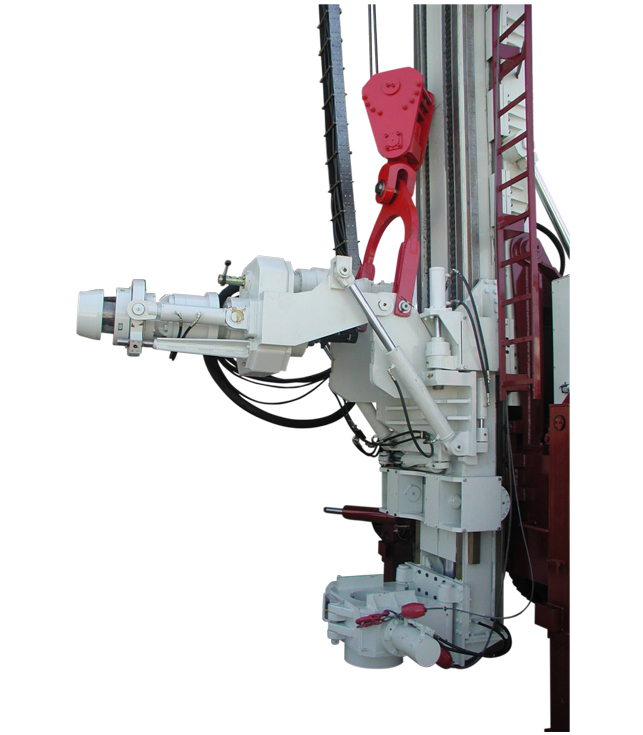 Drilling machines to bore water wells using direct circulation system, or reverse circulation, down hole hammer or mud drilling on both systems. 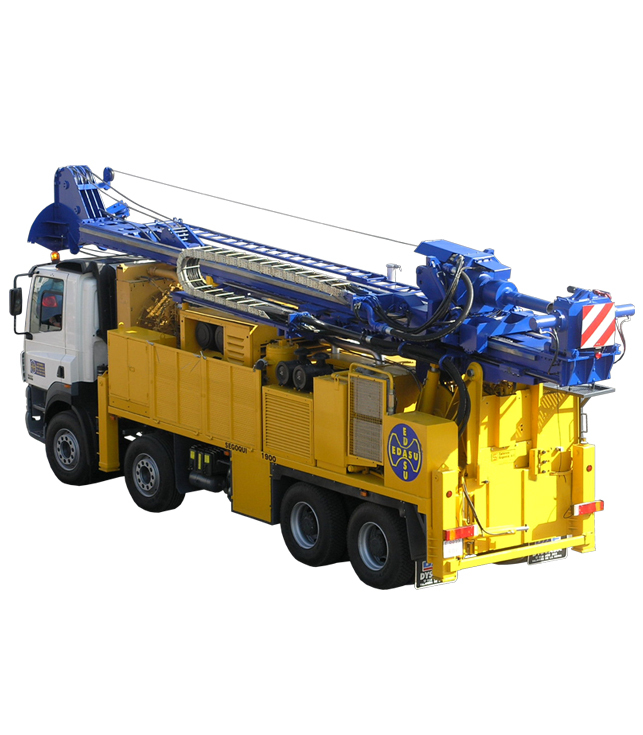 A range of models to reach down to 2.000 meters of depth, mounted on truck, crawler or low bodies. There are different models as required by the costumer and the type of rocks in the territory to cover. 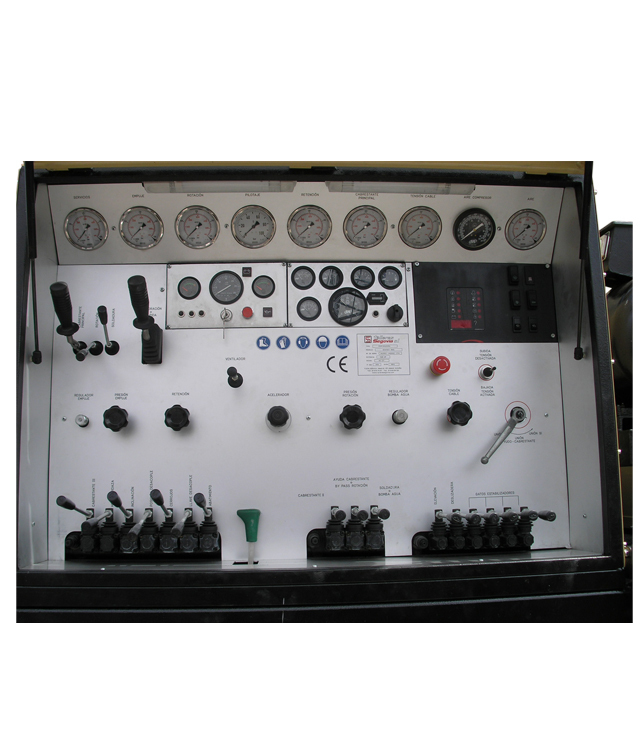 - It is possible to install on board air compressor or mud pump, or both. - Also drillrod automatic charger. Purpose: DTH hammer, direct circulation and reverse circulation. 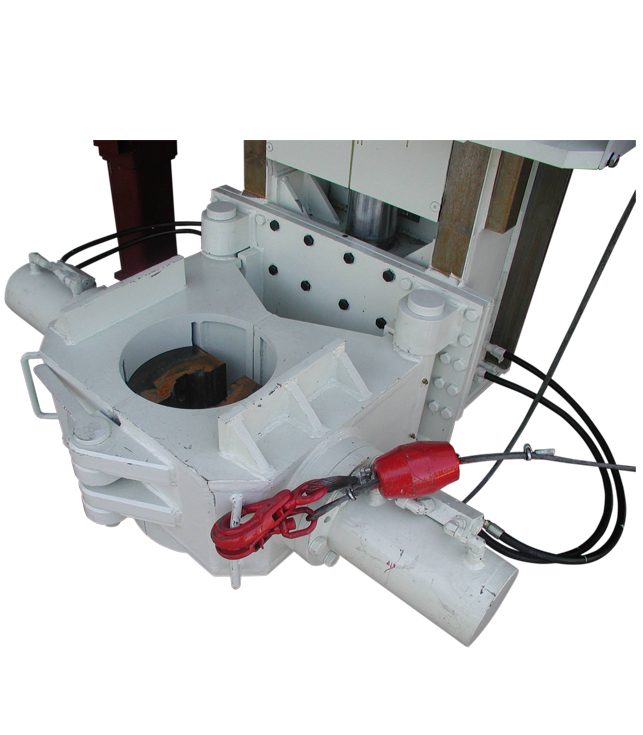 Capacity: 1.000 m depth DTH hammer and direct circulation. Power: 600 m depth reverse circulation. Max. Rot torque: 240 kw (320 H.P) at 1.800 r.p.m. 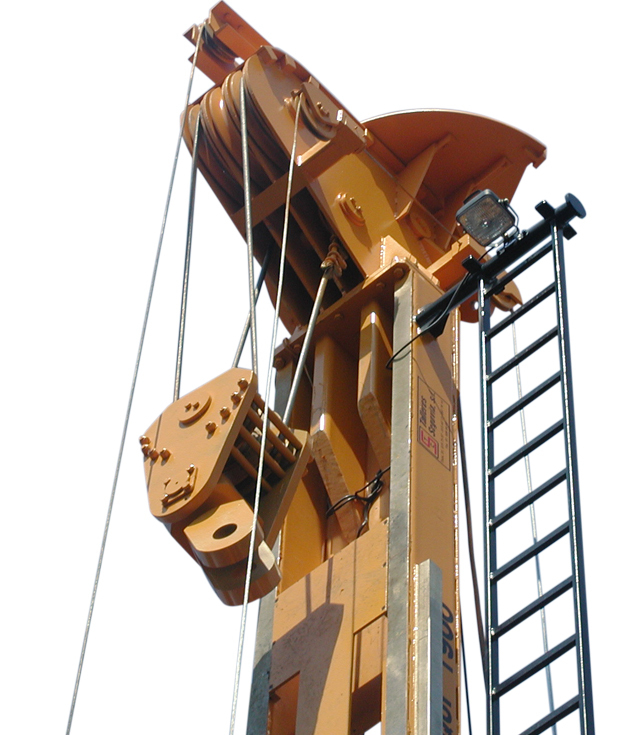 Pull up: 3.900 kg x m.
Main hoist: 32.000 kg (cylinder). Total pull up: 60.000 kg. Push down: 90.000 kg (cylinder and hoist). Max. r.p.m. rotary: 15.000 kg. Tower table: With 3 speeds. 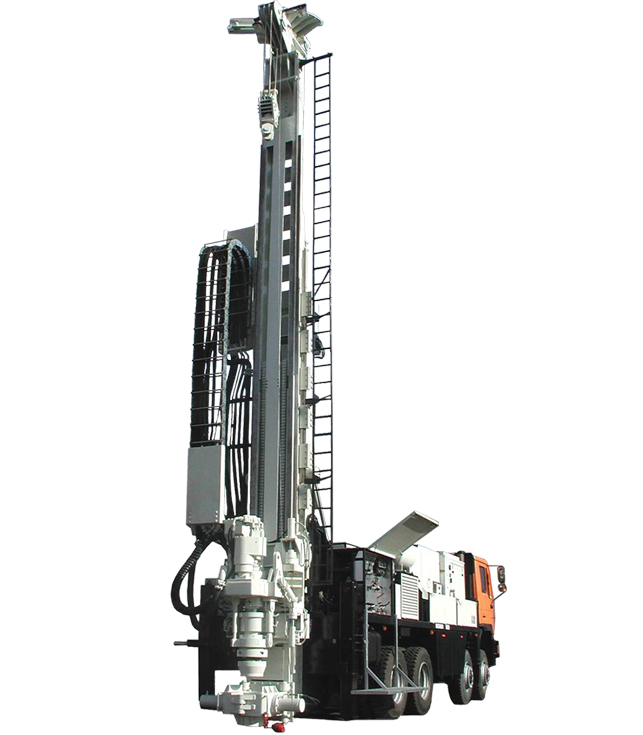 Direct drillrod: Hydraulic, with 700 mm total pass open. Reverse drillrod: ø140mm, ø152mm of 6 m long. Rod magazine: Dual wall pipe. OD ø220mm x ID ø120mmx 6 m long. 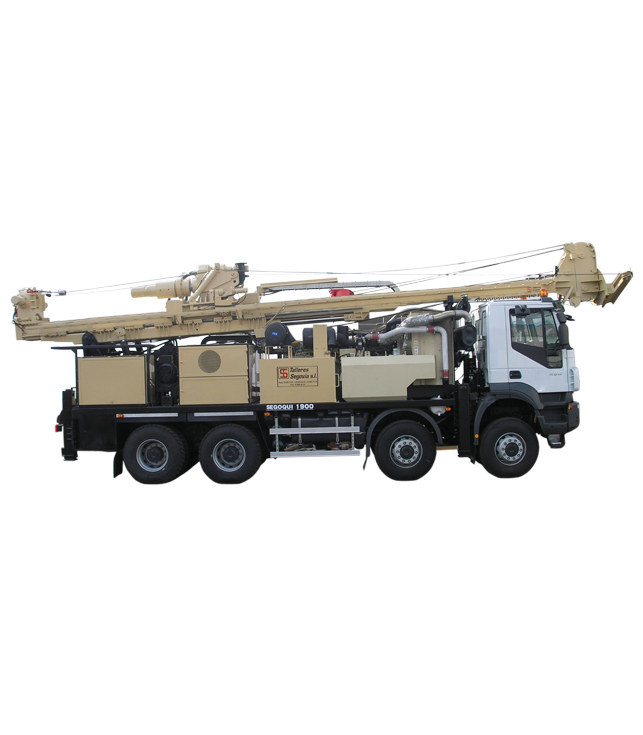 Mounting: Mounting Truck 8x8 with M.M.A. of 38.000 kg. Aux. hoist: Two. One of 3.000 kg linepull. Other of 1.000 kg. Other: Two welding groups of 400 A.